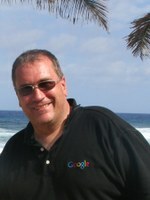 Jeremy Allison is one of the world's most experienced developers in the field of interoperabiliy. Jeremy Allison is one of the world's most experienced developers in the field of interoperabiliy. As a lead on the Samba Team, he has helped to develop a Free Software, Windows compatible, file and print server product for UNIX systems. Samba is used by all Linux distributions as well as many thousands of corporations and products worldwide.